SKU: 5055964707309 Category: Homeware Brand:	Super Mario Bros. 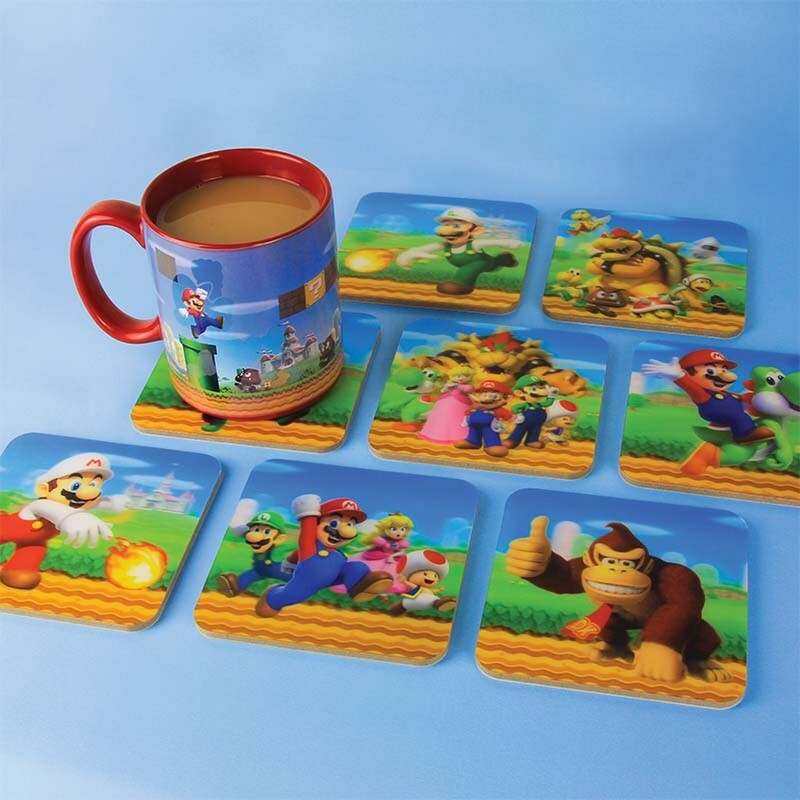 Protect your tables and surfaces with the help of everyone’s favourite moustachioed hero with this collection of Super Mario 3D Coasters! A collection of 8 different designs featuring all your favourite characters from the hit games series including Mario, Luigi, Princess Peach and Bowser each coaster has a lenticular surface giving the image a moving 3D effect, making it the perfect gift for gamers and Mario fans. One of the most popular and instantly recognizable video game characters of all time, Mario first appeared in the iconic 1981 arcade game Donkey Kong under the name ‘Jumpman’. Since then, Mario has become a legend within popular culture and has been a defining figure not just for Nintendo, but for the whole gaming industry. Since hitting the big time with Super Mario Bros. Mario has had huge success with other instalments such as Super Mario Galaxy, Super Mario 3D World and the hugely popular racing spin-off Super Mario Kart. The Super Mario 3D Coasters are an officially licensed Super Mario product.